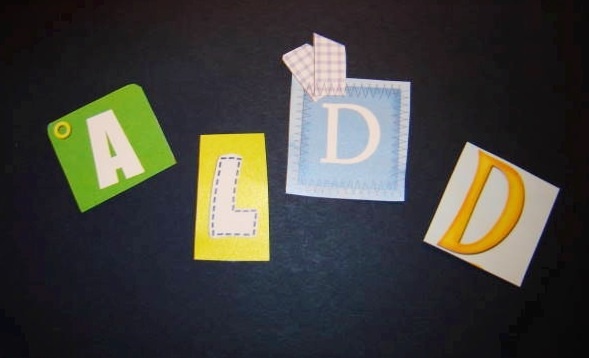 Have you heard of ALDD? It stands for Adolescent Logic Deficit Disorder. It is a name I came up with to keep my sanity when I had no other way to explain my teenager’s complete lack of logic. Somewhere out there in a medical journal, I know there exists the scientific name for this adolescent condition. You may even recognize your teenager in this post. When my son was about 16 years old, he got his first vehicle. It wasn’t much to speak of and certainly not a chick-magnet, but then since when did Jonathan need a magnet. He came out of the womb magnetized. The ladies at our church nursery called him, “The Flirt.” His friendly nature and dimply smile attracted many people. The truck was mainly white, except for the areas marred by the all too familiar orangey-brownish, bubbling rust on the lower side edges, under the doors, and nearly everywhere else. The black seats had plenty of wear and little tears. I donated a southwestern blanket he could throw over the bench seat. 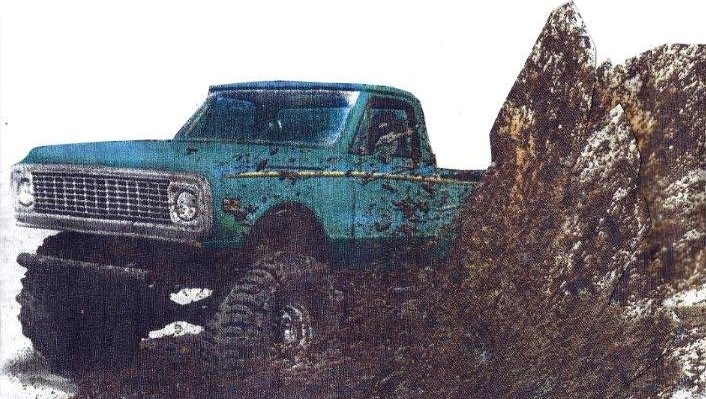 Though far from new, the rims and tires were the truck’s main asset, besides the fact that it ran. To my son, however, the truck was a beauty. As a self-supporting-single-mom, I was not able to help him financially, but impressed him with the way I talked the man down $50. “Look mom, the cool tires and rims are worth a lot, and I only paid $450 for the whole truck!” I admitted it was not bad. He needed this semi-reliable piece of transportation to get to school, his part-time job; and hopefully back home. I drove the truck home since he didn’t know how to drive a stick, and figured this was a great time for a little mother-son chat about his new responsibility. I really hoped he did. I knew Jonathan was itching to get behind the wheel. He was my youngest and I needed to loosen the leash. He did have his driver’s license. Between his sister and me, we began stick shift lessons. Several whiplashes later, he had mastered the stick shift. Sort of. The first thing he did was to clean it inside and out. It was amusing. He found the bucket on his own, filled it with water, put in a few squirts of dishwashing detergent, found the auto sponge, and grabbed an old towel without me having to tell him anything. Hmmm. So he does know these things. “Look Mom, doesn’t it look good as new?” He called me from the open front door. Me: “Yeah! It looks really great!” I shouted, looking out the window, though it looked exactly the same to me. I was expecting company and was cleaning the house. He came in a few minutes later. Many months later, Jonathan came to me. “It’s a surprise Mom. Wait till you see how cool it will be.” After much persistence, I agreed to go with him. He drove us out to a commercial site nearby with plenty of open space. Me: “What are we doing here, Jonathan? Him: “It’s a surprise, mom? You’ll love it. It’s really cool!” Just then his muffler coughed, choking out a response as he stepped on the gas pedal. Me: “What are you doing?” We were headed towards a house size pile of dirt. Him: “Just watch, Mom. This is really cool!” Excitement exuded from every pore of his being as he accelerated. I tightened my grip on the door handle and the seat. I wanted to see what he did all the time, but deeply hoped I wouldn’t regret this moment later. We climbed the dirt hill at top speed. I couldn’t believe the little, old truck had it in it. We became airborne. Our bodies fought gravity. We landed on the other side of the hill with a slam. I worried about our necks. We both had a prior history of car accident neck injuries. Me: “ARE YOU CRAZY!” Jonathan’s giddiness escaped in gurgles of laughter. I was speechless. The only response I received from him was a huge grin of satisfaction. Amazingly, the truck managed to make it for a couple more years. Thankfully, this young man’s logic returned and he became a very competent police officer. Then, there was the time I called my daughter Hannah, while hopscotching between part time jobs. “Hannah, please take Jonathan’s soccer shirt, shorts and socks out of the washer and put them in the dryer. Please do it right now, before you forget. Jonathan has a game today. He will be home later. I will be there in a few hours and will take him to the game.” This was before he got his truck. She simply looked at me. “You didn’t tell me to turn it on.” I walked off mumbling to myself, wondering how she managed to get those 4.0s. But the ultimate case of ALDD I have ever experienced, was when we were putting up a fence at a new house. My step-son worked for several hours digging holes deep enough for wooden posts to be cemented in. He and my husband poured the cement. Afterwards, he showered and was off to his friend’s house. My husband and I were still in the backyard when we heard a loud crunch. As he backed up in his car, he hit the last post he had just put in, and cracked it in half. “How could you hit that post?” His father demanded. twitter updates. I’ve been looking for a plug-in like this for quite some time and was hoping maybe you would have some experience with something like this. Please let me know if you run into anything. I truly enjoy reading your blog and I look forward to your new updates. Unfortunately, I don’t know very much about tweets but have thought of looking into it. Thank you, hope you will visit! It’s really a great and useful piece of information. I am happy that you just shared this helpful info with us. Please stay us up to date like this. Thank you for sharing. I am glad you enjoyed it, thank you! I do not even know how I stopped up right here, but I believed this submit used to be good. I don’t understand who you are but certainly you’re going to a famous blogger if you happen to are not already. I forgot got to ask if I can share this story on my FB wall? I will understand if you think that’s not a good idea…. Sure, go ahead. Thanks for asking. Yes, he definitely liked to push the boundaries, especially as a teen, yet he became a cop! Those were good memories back then! I do miss those years when they were kids. It was fun having you so close, too! Just a few days ago, I drove past your old house and thought , man I wish Liz still lived there so I can pop on by and say hi and drink some Calli tea…lol I sure do miss those days and all the belly laughs….I have a picture of you holding Aaron when he was minutes old….you were my first friend to hold him after he was born….If you had come over a few minutes earlier you would have been there for the birth….HOME BIRTH is the best way to give birth…IMO….I really enjoy your story telling of real life events….I know there has been many heartache for you but alot of joy too. I miss those days with the kids too. That was a very special moment. Holding Aaron. It would be nice to still be able to run over to your place for a cup of tea, friend. I’m thinking your son and my sons are related. I haven’t laughed that hard in a long time…thanks. Can’t wait to read more. Thank you! Yes, most teen do share that ability. It is hilarious to me now, though at that time it was just frustrating. You have to have a sense of humor if you’re going to be a parent. Especially the parent of a teen! Years from now you will still be laughing! Oh yeah – I had seven kids. They’re all “grown up” now, and don’t live at home anymore, but the memories linger. You know they really do. My son Jonathan lives in Heaven with Jesus now. God took him September of 2011 in a motorcycle accident. Any of those memories, especially of him as a child, still live vibrantly in my heart. When I think about them, write about them or read what I have written, I have him with me then. Those are moments I get to relive, and hear his voice. I remember the precious times as well as his antics. Thank you. Oh yes, I laugh all the time when I think back to those days. Frankly, I really miss them!